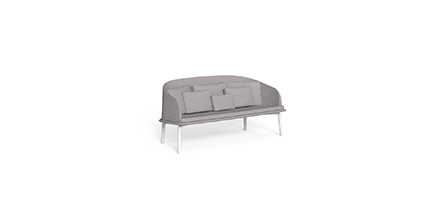 A folding rear curtain that covers the space of the seat characterizes the CleoAlu canopy sofa. 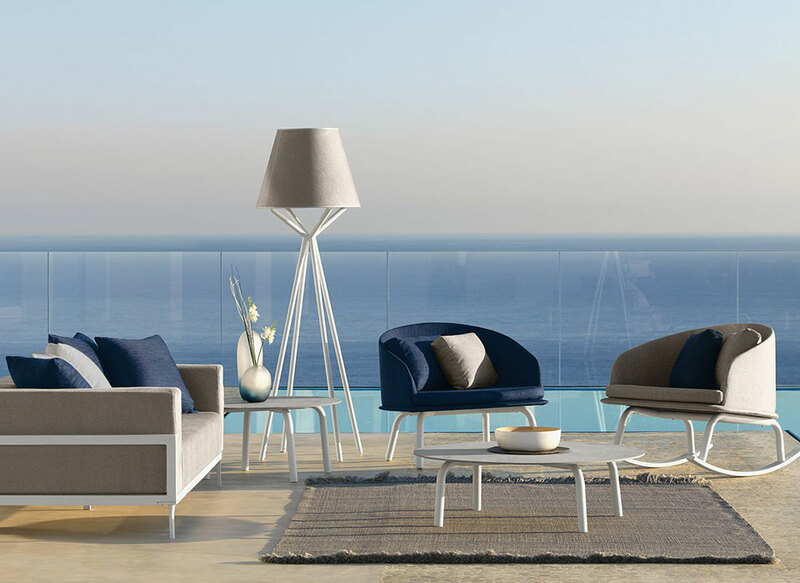 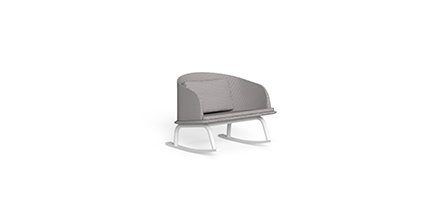 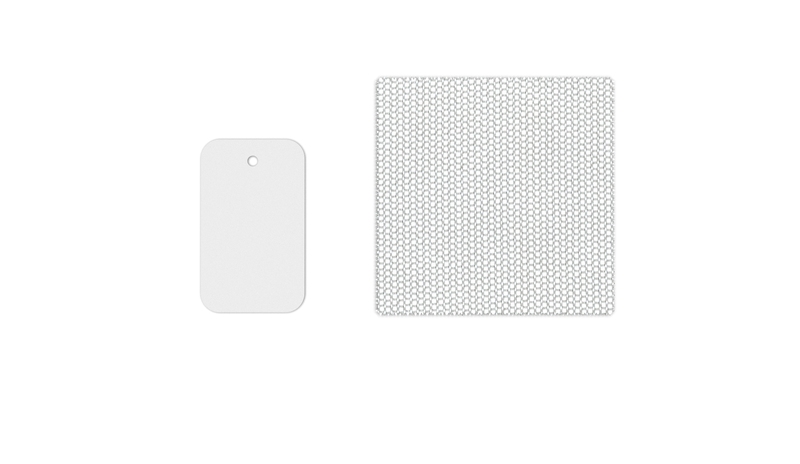 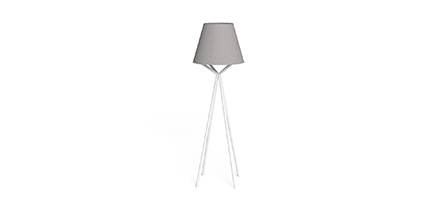 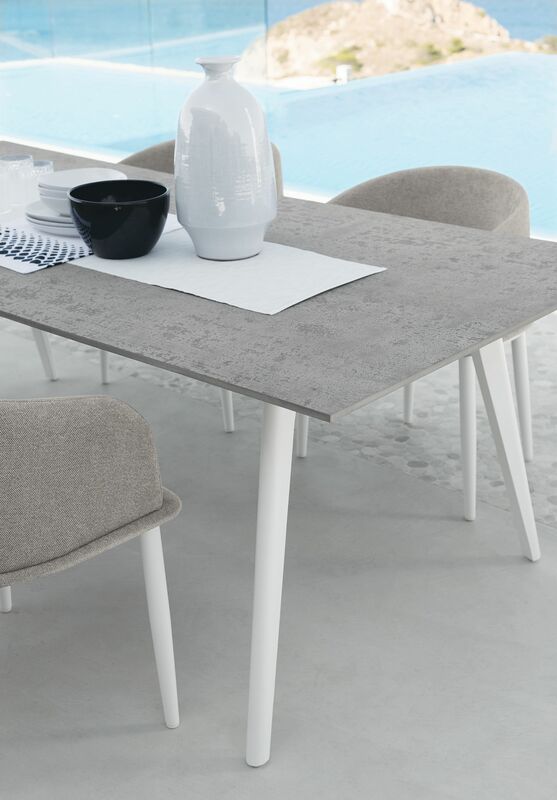 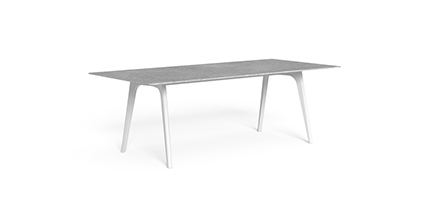 Rigid and geometric, it was designed by the designer Marco Acerbis alongside other accessories with the more flexible style of the lounge seats. 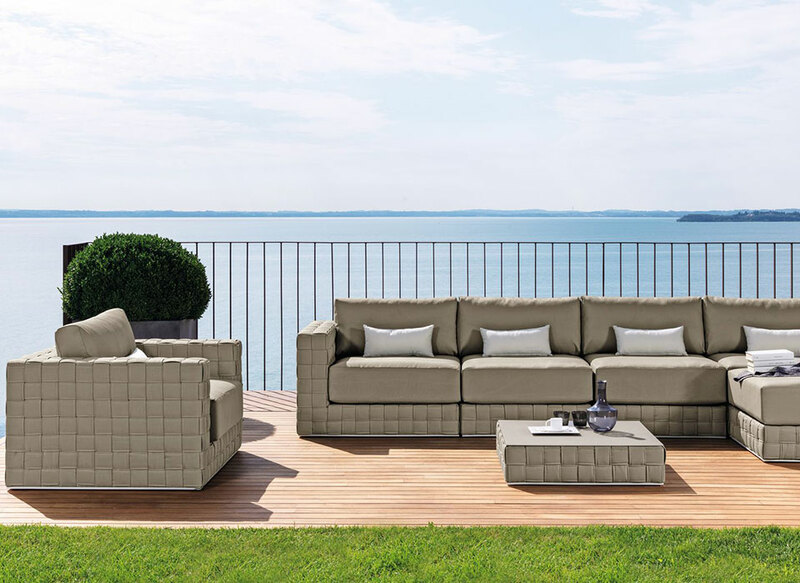 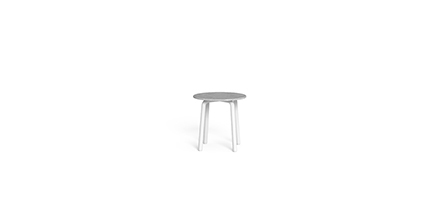 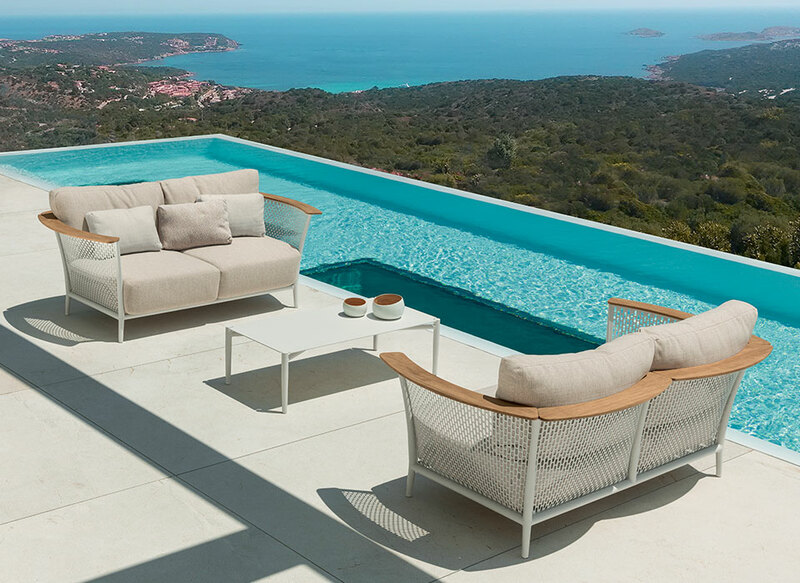 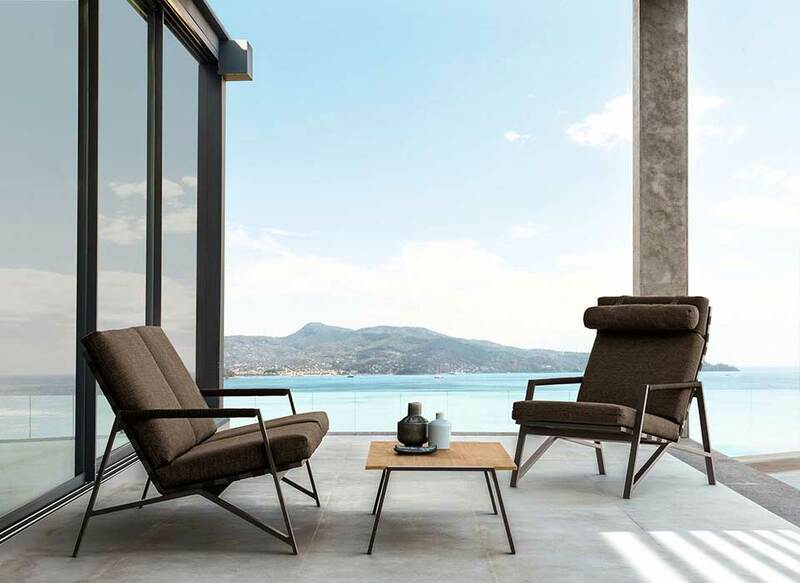 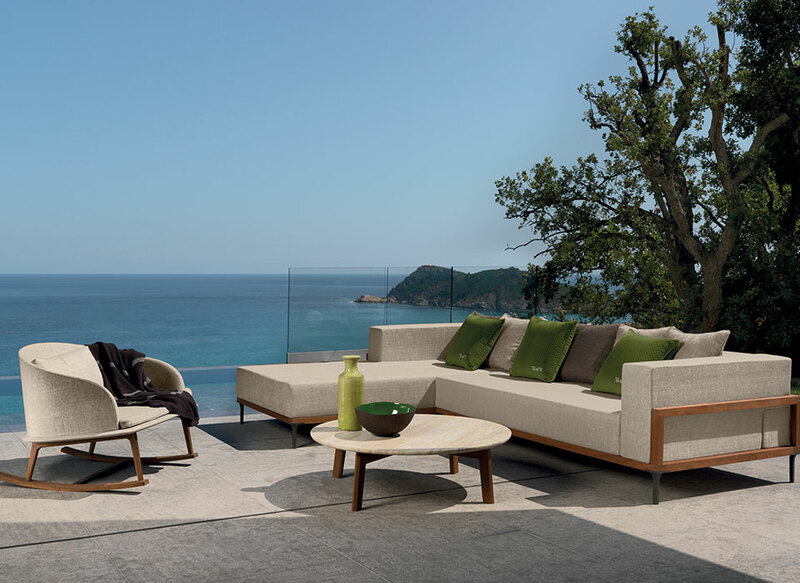 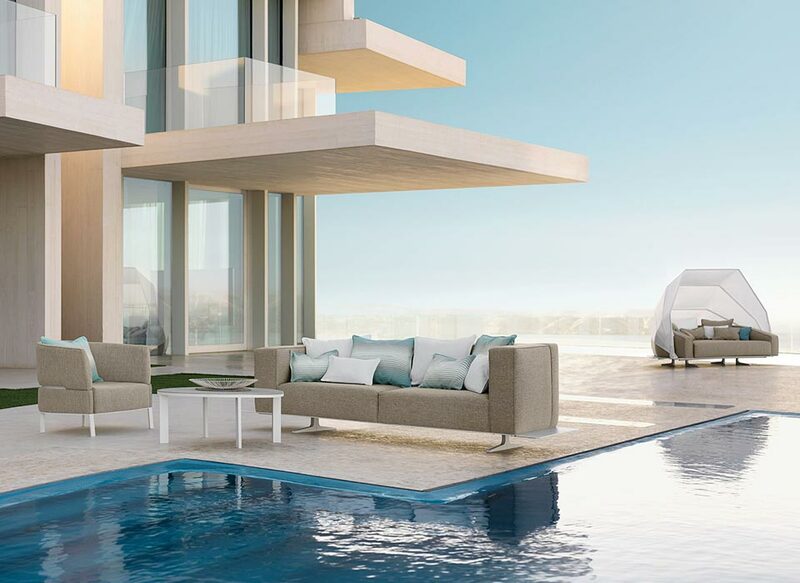 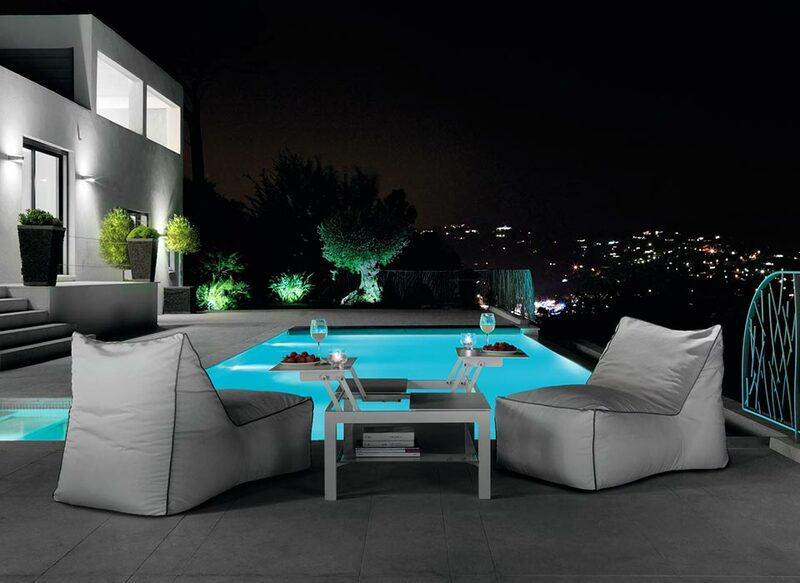 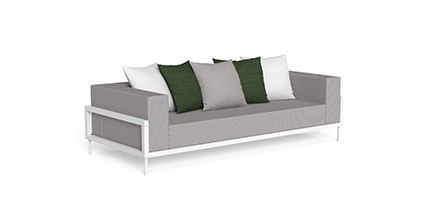 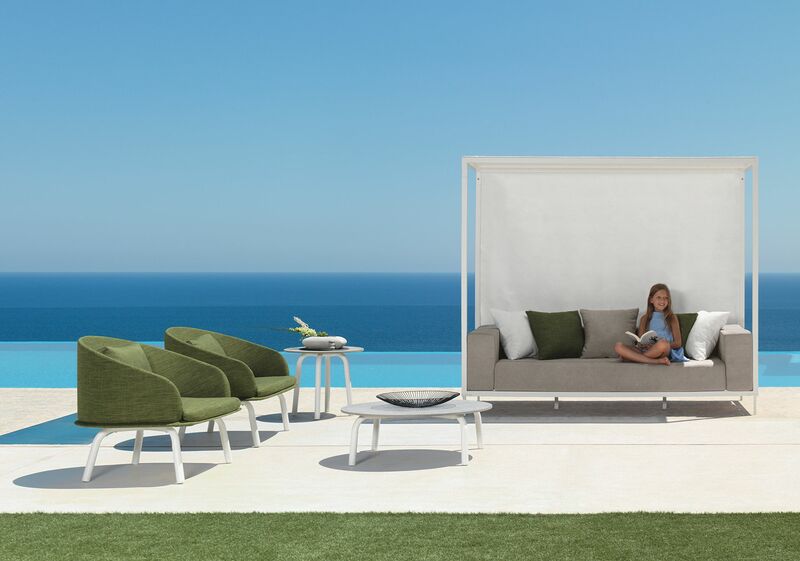 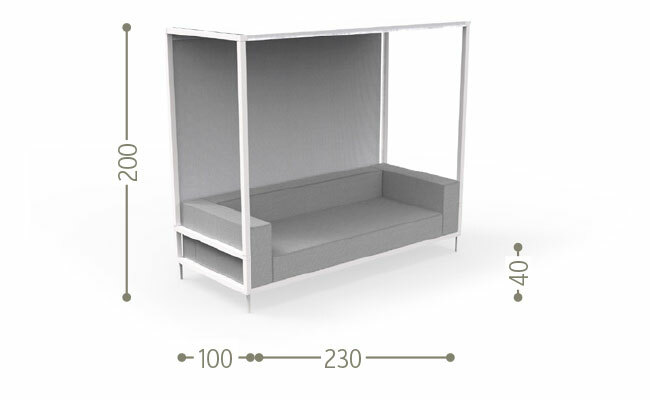 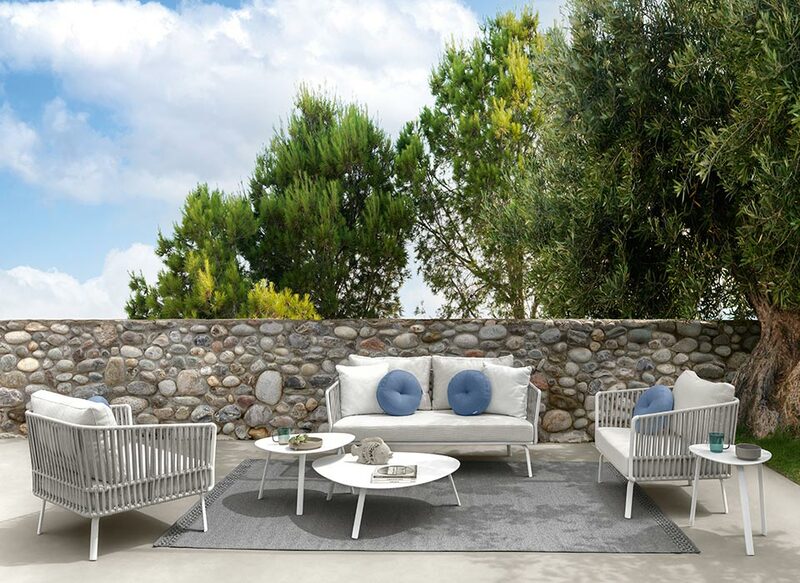 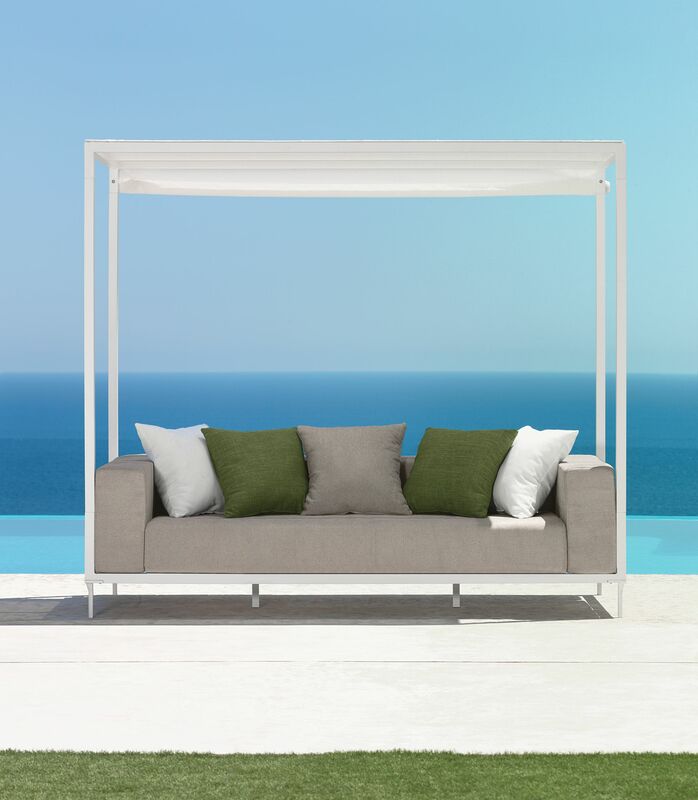 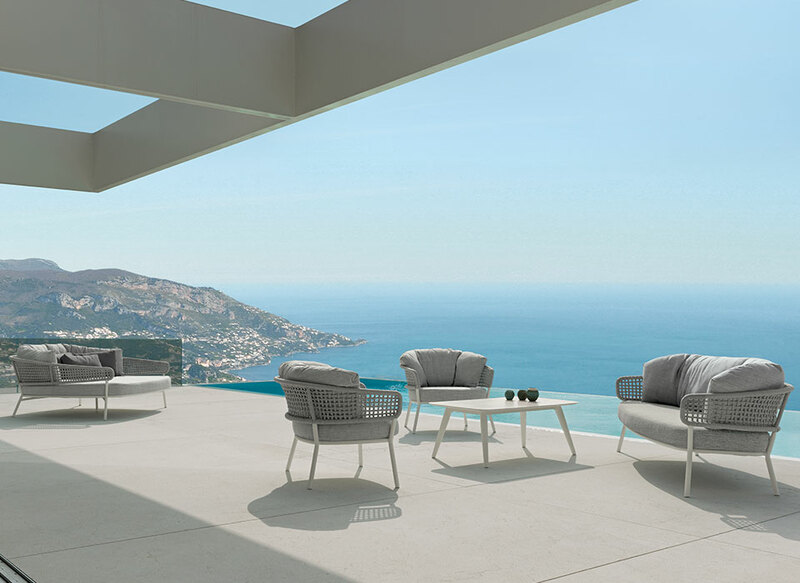 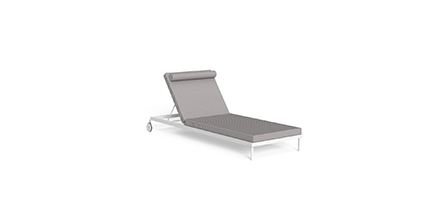 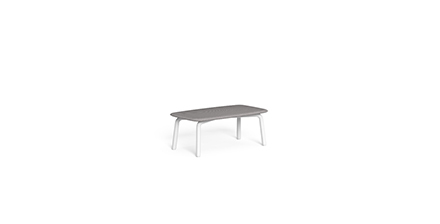 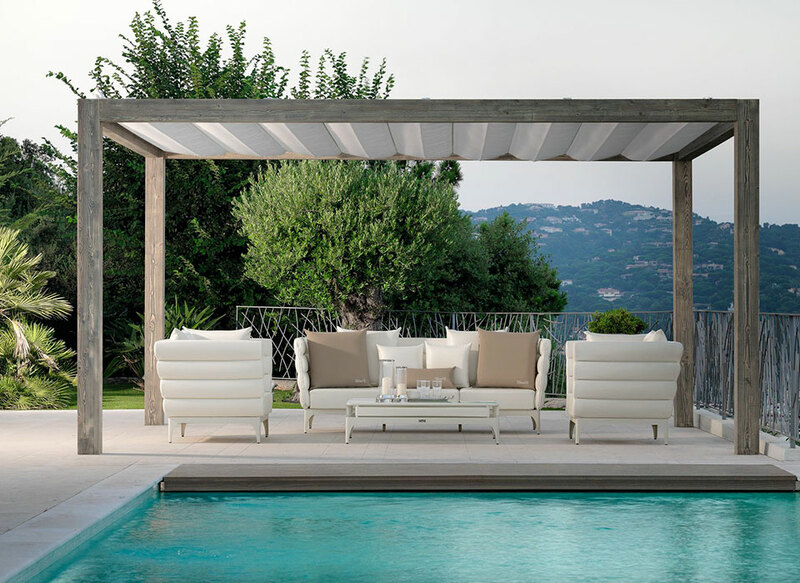 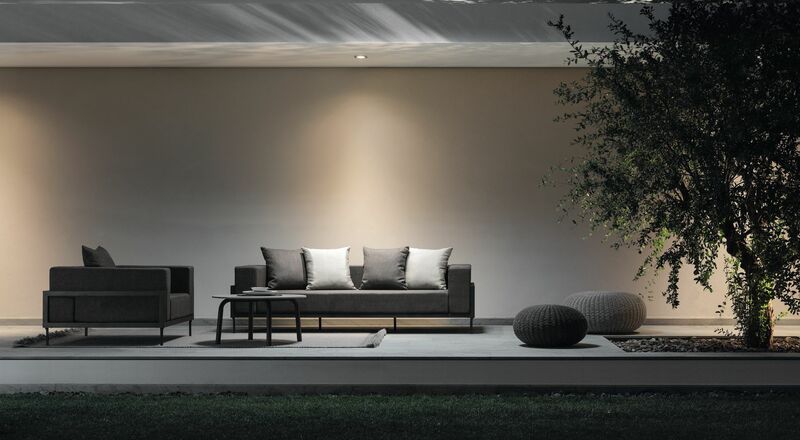 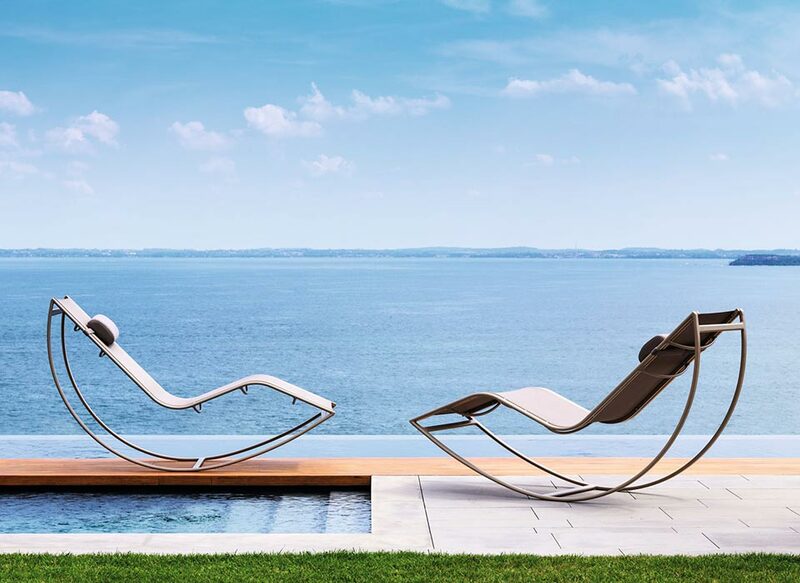 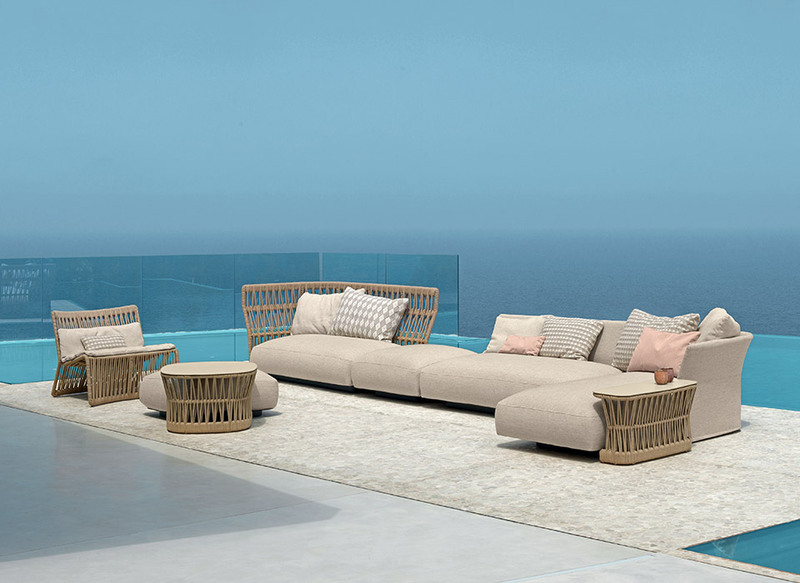 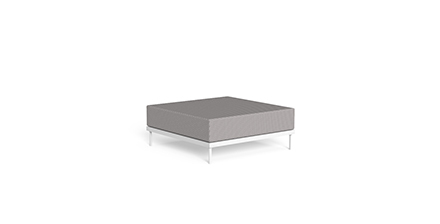 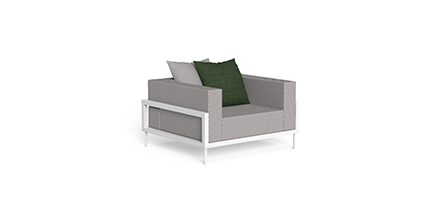 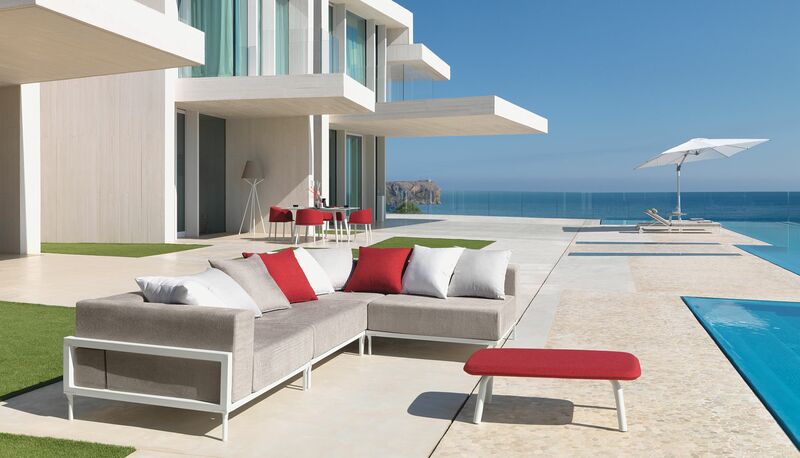 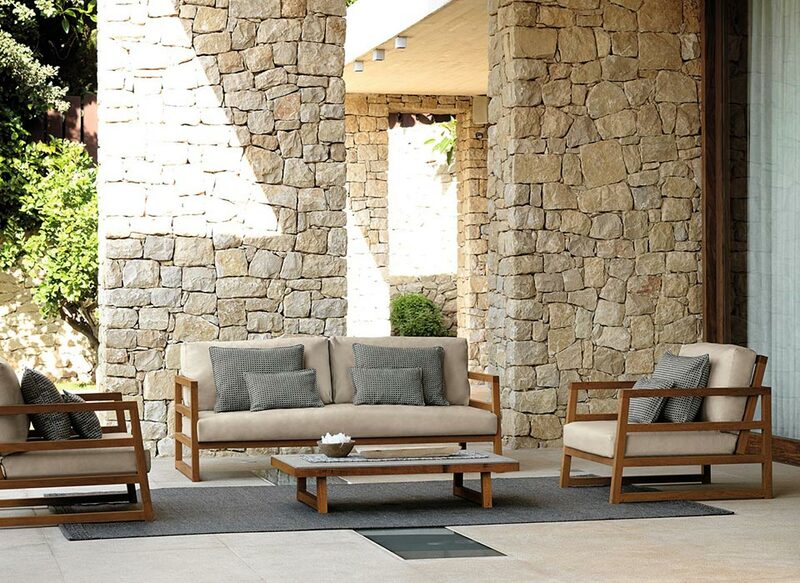 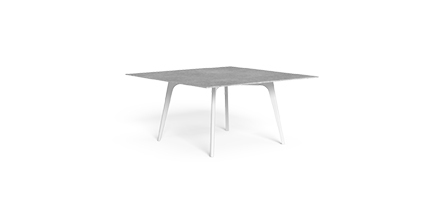 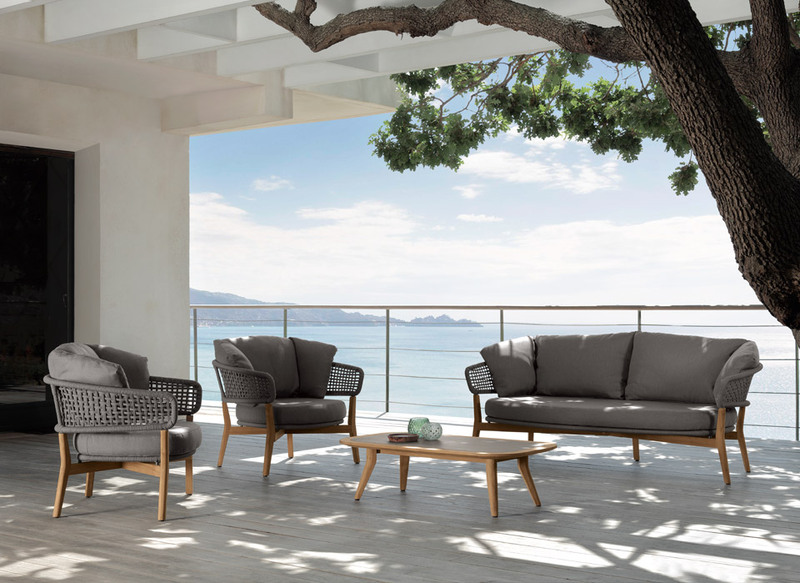 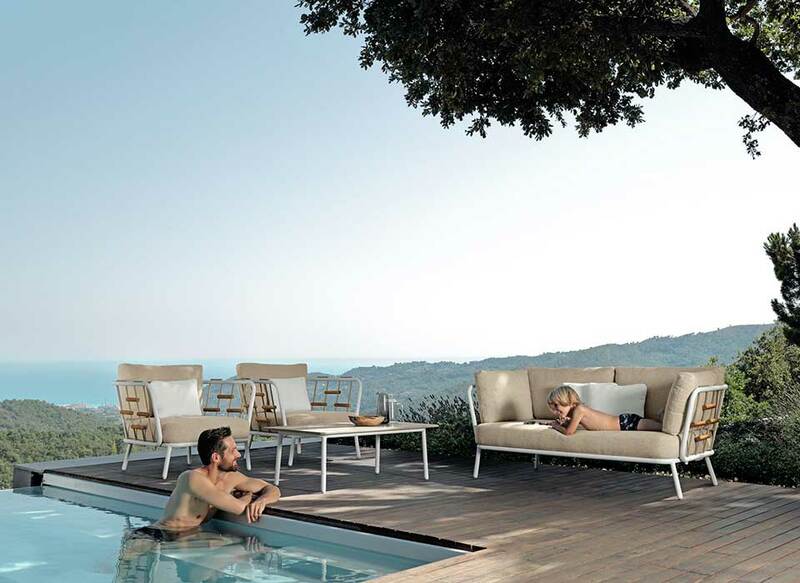 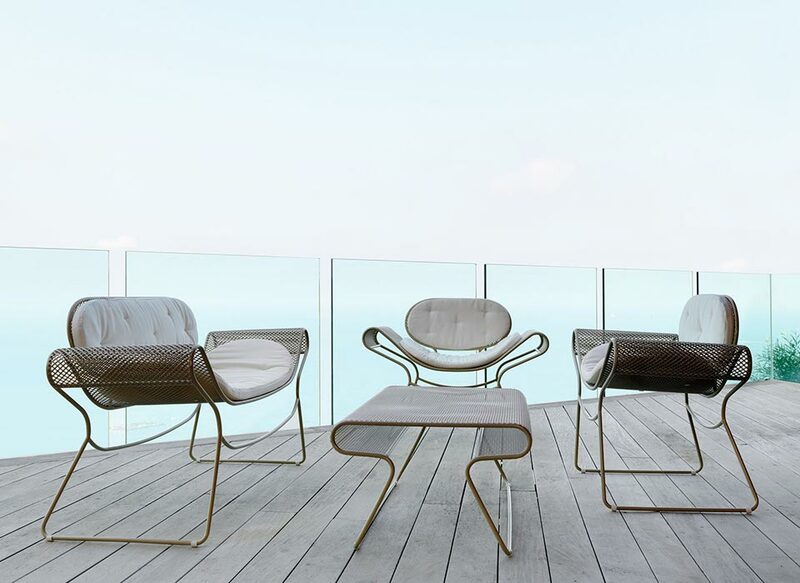 The structure is in powder-coated aluminium and the cushions are in removable fabric, easy to wash weather resistant. 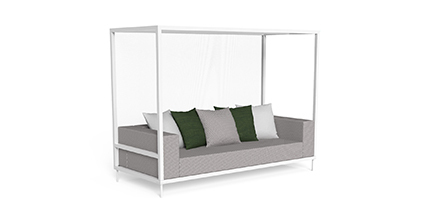 Quick dry foam padding and white textilene curtain.